Ripple ripping higher as new partnerships are being sealed and announced. The XRP token spiked more than 20% over the past 48 hours, triggered by the Ripple blockchain-based cross-border payments trial conducted by one of South Korea’s largest banks. Woori Bank has informed that it intends to introduce “commercialized” international remittances this year based on Ripple’s blockchain-based settlement system. To be more precise, the trial was the second phase of a test following positive initial test transactions by the bank’s Digital Strategy Department in January. It should be noted that the move, as a part of a greater effort taken by Shinhan, which is the second largest bank in South Korea, and roughly 60 Japanese banks participating in a broader Ripple-based remittance experiment, significantly increases odds the commercialization of Ripple – which as a platform and virtual currency has already established a solid reputation in Japan as well as in South Korea – will take place as soon as later this year. Woori Bank representatives have also confirmed to local news outlet ChosunBiz that there are more than several banking institutions that are confirming the application of Ripple system to their banking system in the near future. 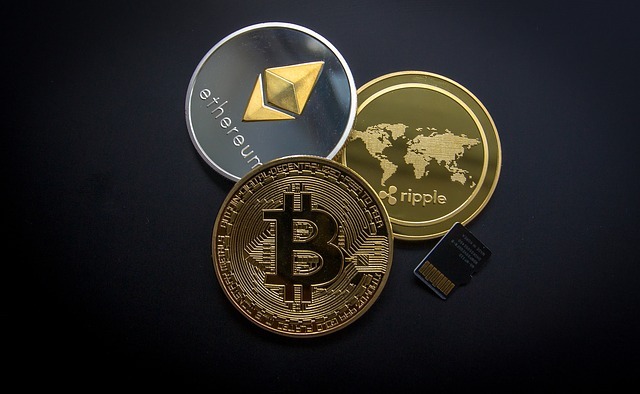 Woori’s announcement comes less than a month after Ripple announced a tie-up with Moneygram’s rival Western Union (NYSE:WU), which is also testing XRP in money transfers. Technically speaking, XRP is currently worth around $0.75 per unit. After the initial spike (March 5) above the $1 level, price retracted once it hit major resistance on the upper boundary of the channel which prints around $1.05. Support for the pattern currently remains at $0.70. While there are no indications of a trend reversal, on the upside side of things, price-per-unit will likely start consolidating at the $0.85 – $0.90 range until the $1 area is convincingly broken, hopefully with higher volume this time. The crypto has a market cap of about $30 billion, and has been wildly volatile since it hit an all-time high of $3.84 in early January. Just over a year ago, Ripple was worth 6 cents per unit. As far as I checked, it is xCurrent having been tested successfully, not XRP. How you can be so confident about it why would bank invest money in such a volatile asset because crypto is still not currency but only asset. This market is not regulated and therefore I am worried that banks cannot and they will not because they have some responsibility against their clients. They will not invest in crypto mainly thanks to the whales and very volatile unregulated environment. I assume that this market will go soon under 100 bilion USD and I bet that now there are not big players even Winkelvos sold. Only crypto entusiastics who wants to loose money and fools like me. I still can believe what mamon can do with a people racional behaviour. Because if a transaction takes only arround 3 to 8 sec, how volatile is it then? Not really. It’s just the beginning, and Ripple is at the front.